The Jewel Box Bus Shelter was designed by Laura Haddad and Tom Drugan, a Seattle-based public arts team. 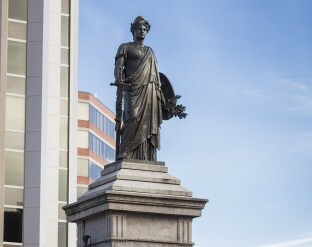 It was installed in December 2004 after a two year process of review and planning. 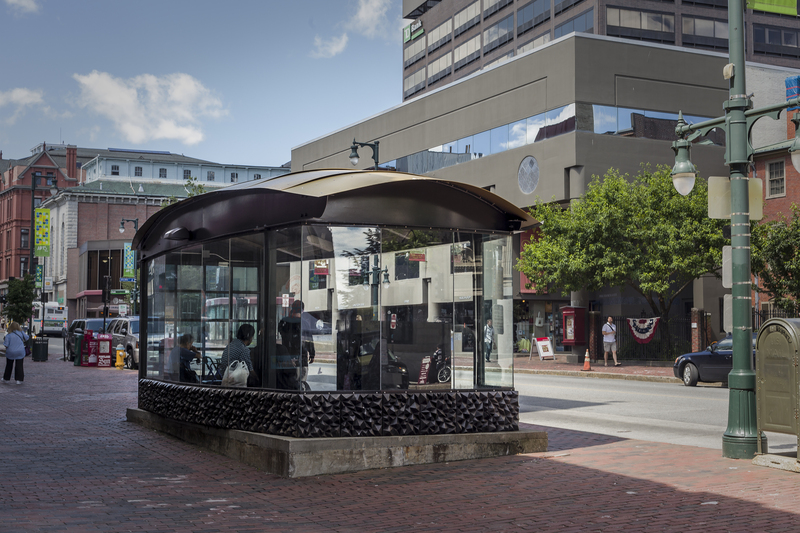 The goal for the bus shelter was to create focus and energy on Congress Street. The structure is an icon of Portland’s vibrant present and future, and acts as a counterpoint to the traditional architecture of the area. The name of the shelter was chosen because all the surfaces of the shelter are faceted, like a jewel. 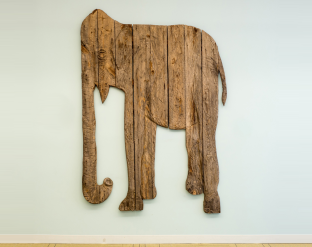 The walls bend slightly every 3 feet, giving the panes of glass a variety of reflective angles to pick up light. The shelter’s other faceted surfaces are abstracted from features of Maine’s marine environment. The form of the canopy, made of overlapping panels of golden anodized aluminum, is derived from a lobster shell. The lower walls are cast iron with a pattern of pyramids, evocative of barnacles. The wall at the west end has individual panes of angled glass joined together like ocean waves. Some of that glass is blue, and some of it has a holographic film that picks up both sunlight and electric light in the way the light scintillates across the surface of Casco Bay. The materials for the shelter were chosen for the naturalness of their color tones. 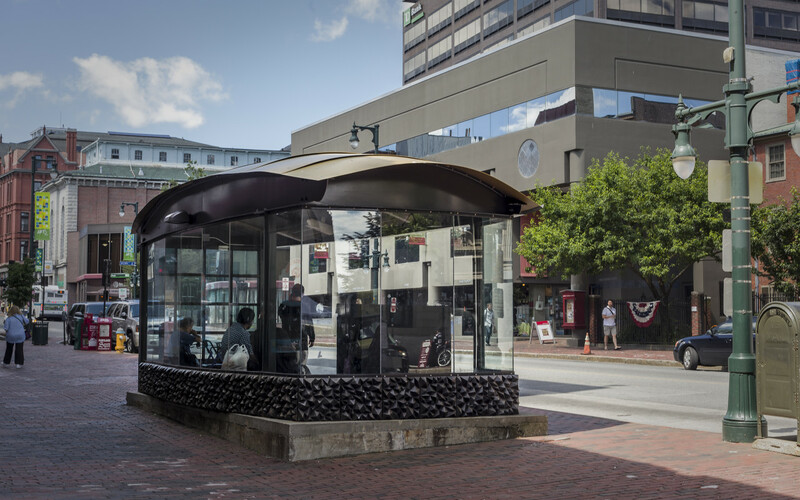 The Jewel Box Bus Shelter replaced a blighted shelter and a mushroom shaped phone kiosk in Monument Square. 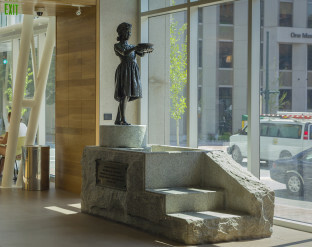 It was part of a larger renaissance in downtown Portland that continues to today with the renovations to the Maine Historical Society and the Portland Public Library, and the influx of new restaurants and storefronts along Congress Street.